This week, we have some great development news to share regarding game mechanics, graphics and 3D artwork, but first we need to address an important issue. On behalf of the development team, I'd like to ask everyone to show a little more courtesy towards our choice of game engine. Recently, we've seen several comments suggesting that we made the 'wrong choice' for whatever reason, and recommending other engines instead. We know that most people have their preferred game engine, and you are entitled to your own opinion, but if you disagree with our decision, then please keep your comments to yourself. We have explained our reasoning time and again, and we urge you to read our FAQ entry and announcement article for the details. Henceforth, we will not repeat ourselves any further if asked about the engine choice. We have more important things to do, such as making this game as awesome as possible for your enjoyment! Thank you for your cooperation, and for continuing to support this project and the dev team. Strannik wrote: Weather is one of the most important aspects of living upon the seas. For this reason, we are redefining how we simulate weather from the ground up, with the purpose of having a realistic weather system that will greatly add to the sense of immersion and the feel of the Caribbean in Hearts of Oak. Currently, we are working on the wind patterns that will fill your sails, break your masts, or becalm you in the middle of the ocean. Instead of simply adding random weather and winds to the game, we have decided to use modern data to create a very realistic (even if perhaps not perfectly historically accurate) weather in game. We can do this thanks to the fact that NASA has been measuring winds all over the world during the last 25 years, every six hours, and with a very high spatial resolution (compiled by the Discover project). Winds in game will have two main components (calculated using NASA’s data). The first one is a global steady wind that gradually changes through the year (but which is essentially the trade winds). In the following animation you can follow the evolution of this steady wind as it changes through the year. Arrow color indicates wind speed. Strannik wrote: The second component corresponds to random weather systems that arise from changes in pressure and temperature through the Caribbean. This will be the component that makes in-game weather unpredictable and will contain all kinds of systems, (from drizzles to the enormous cyclones that appear in hurricane season). 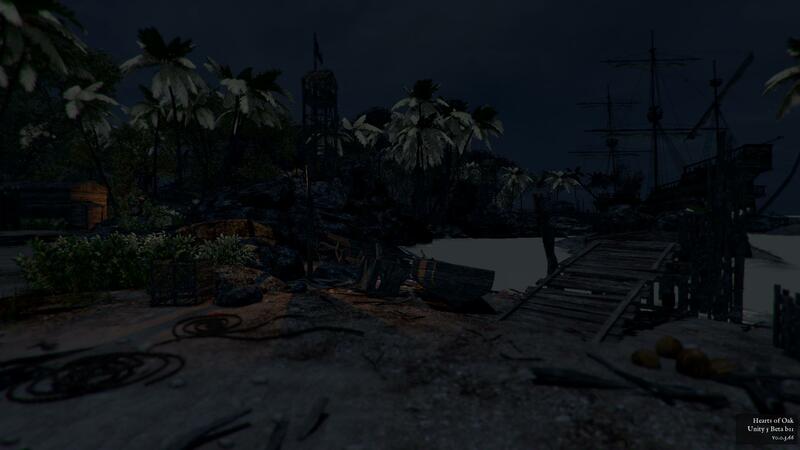 Realistic fire spreading has hardly ever been attempted in a sailing game, but we intend to change that. This mechanic should have serious consequences during gameplay, requiring you to act fast if a fire starts aboard your vessel! 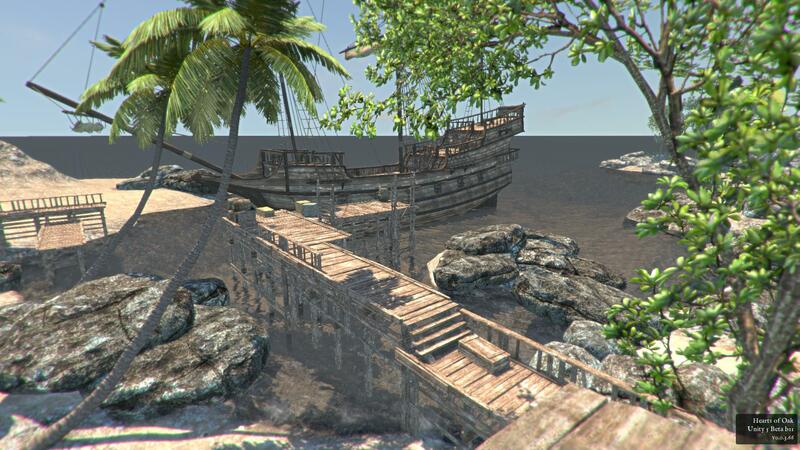 For the past few weeks, we've mostly been showing you images and footage of Unity 4, which looks fairly good. Now though, our developers have got hold of the Unity 5 beta, and with relatively few tweaks to camera effects, they've been able to produce a scene that far surpasses anything we've previously shown off from Unity 4. 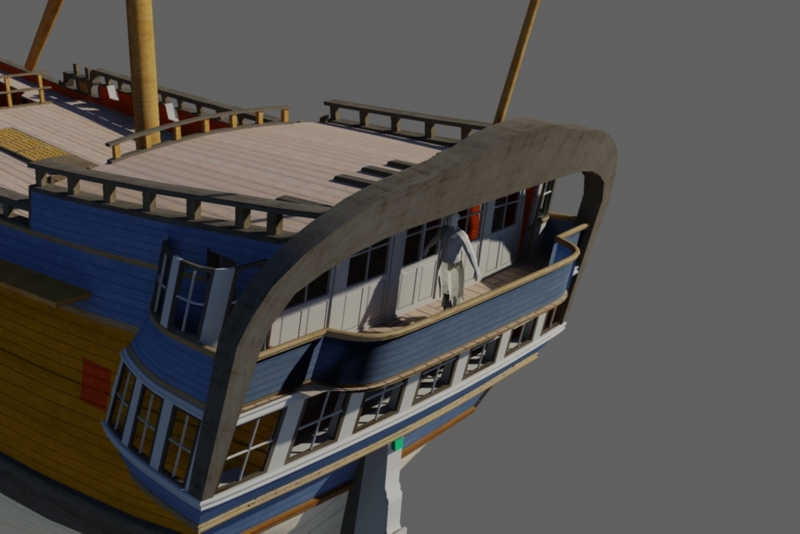 It's important to note that we're starting from the basics right now; these initial tests have been done without our own assets in the scene, but later on we'll be adding back things like the St Albans to show how much better they look. 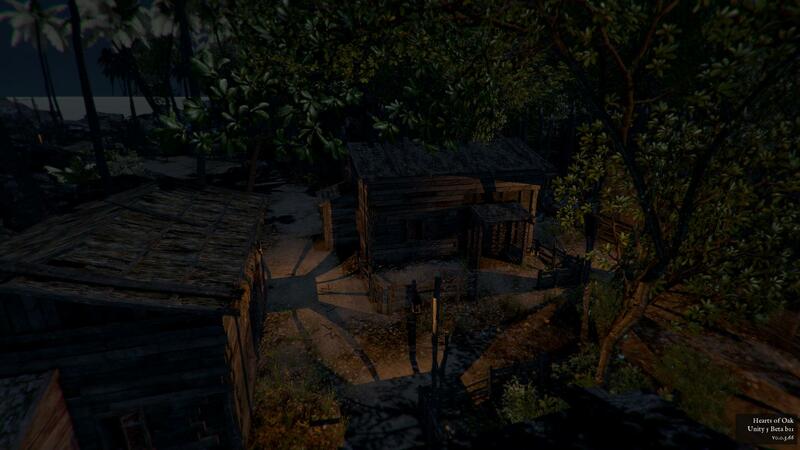 And remember, we're still in the pre-alpha stage, so what you see above is NOT final quality. The final game will look vastly different. 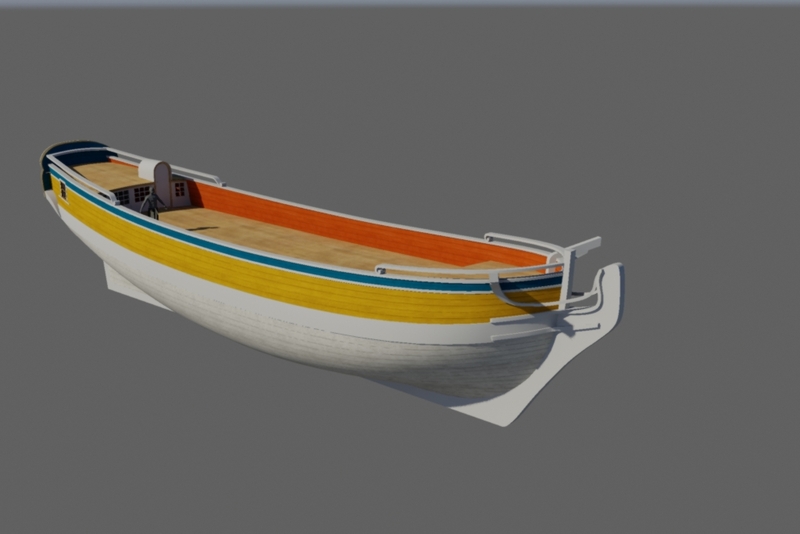 The hull of this model is now almost finished, featuring finely-crafted details both on the exterior and interior. 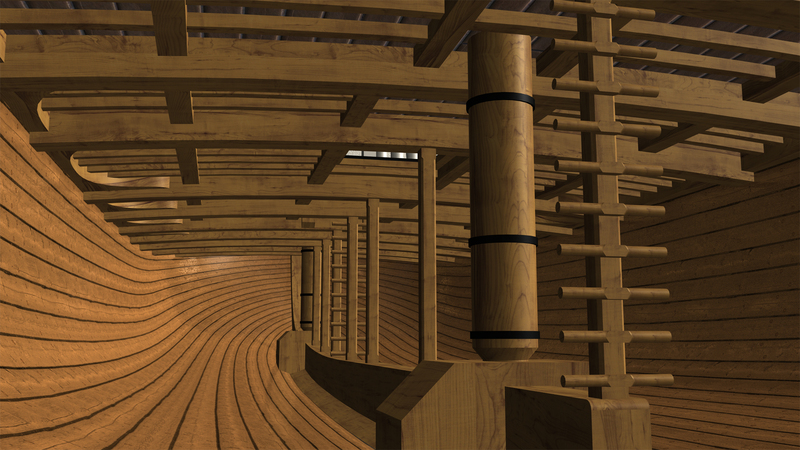 Have a look at the images below for an overview of the ship from the inside out. The hold is taking shape on the Endeavour, and it looks pretty spacious. 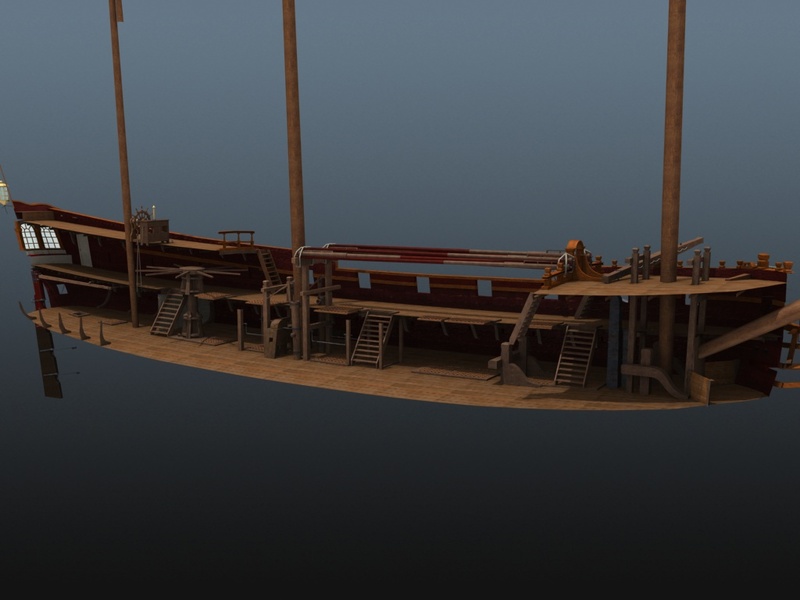 That will soon change once it's finished and filled with cargo in the game! 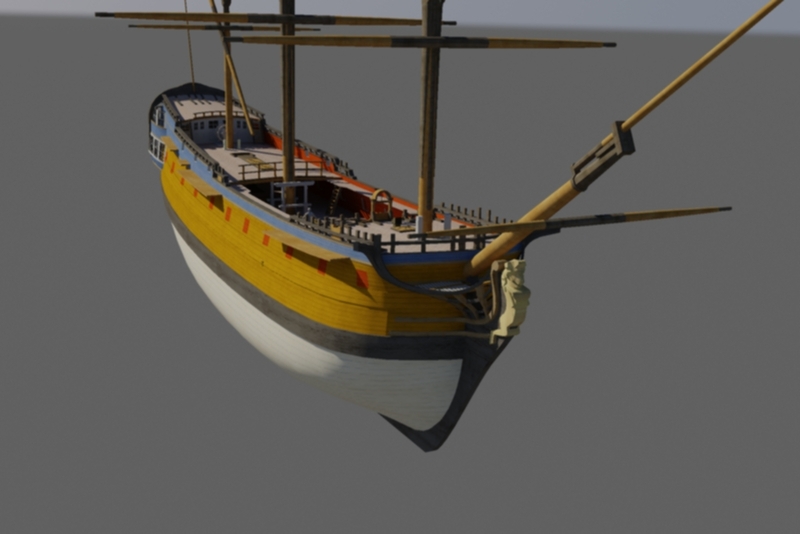 An English sloop built in 1752, typically armed with eight carriage guns and ten swivels. 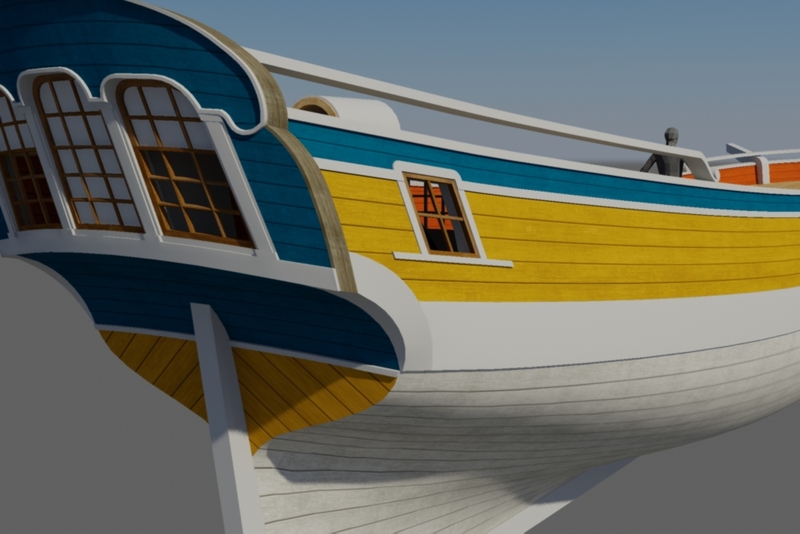 This model is still in its early stages, and missing details such as gunports, but the hull shape is already very well defined. 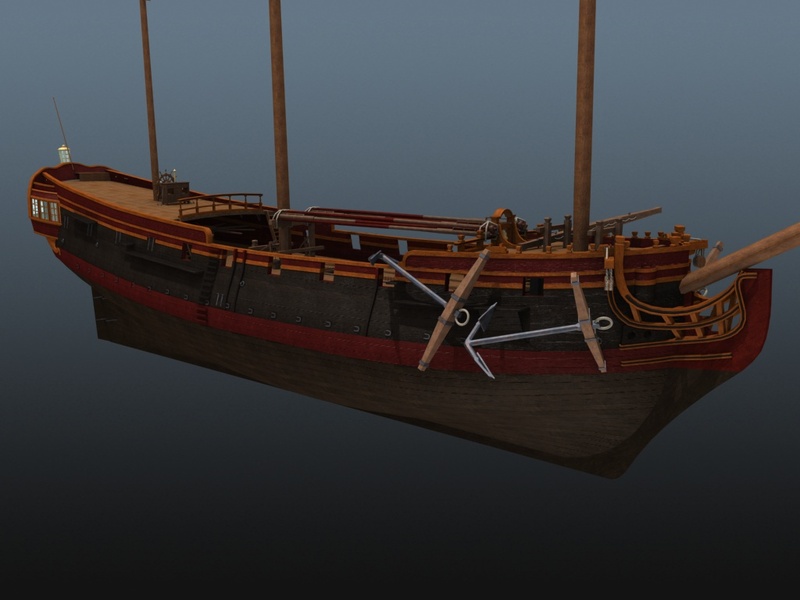 A 28-gun merchant vessel built some time before 1768. The hull has a very box-shaped profile, which, although arguably less attractive than a sleeker warship, allows it to carry a great deal of cargo. Fire. This will definitely change the game. Will there be Oculus Rift support for this game? I know that Oculus is being built into Unity, but I'm curious to know what you guys think of it. Oculus will be amazing! I'm excited you are interested in it. It will give the immersion a huge increase. Yes, YES! Thank you for that! Playing this game with the Oculus Rift would be the holy grail! Standing on deck with the wheel right in front of your face, while a twister is throwing your ship right at some massive waves! Simply, awesome! Oh, wow! 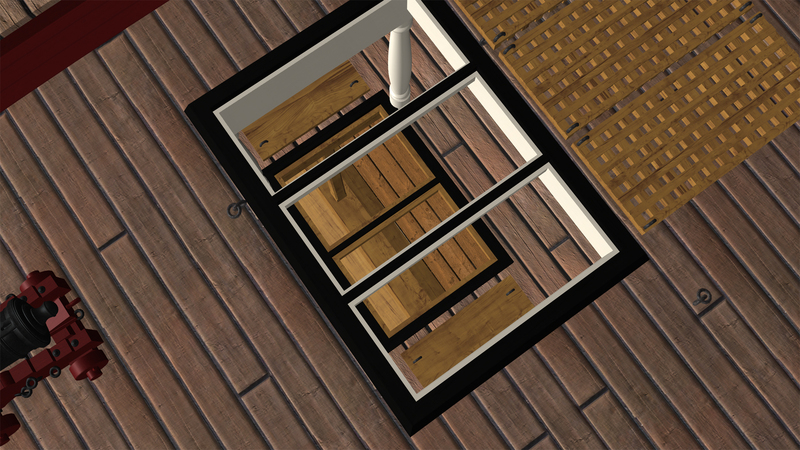 I'm so used to different decks being in separate dimensions that this pic seems unnatural to me, ha ha. 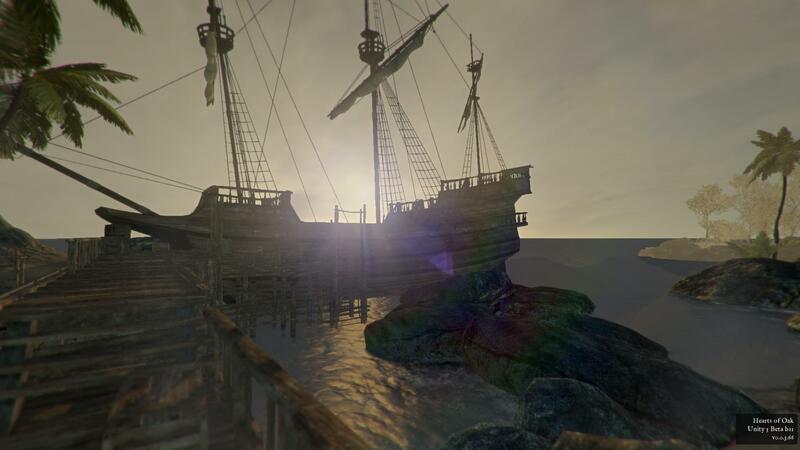 Beautiful models, interesting weather mechanics, and fire that is sure to cause panic on the high seas. This game is looking good. Indeed, we are hoping to simulate the listing and slower performance caused by taking on water close to the waterline. It will then be up to the player to decide how to save the ship. If you guys would combine efforts with Naval Action it would be the greatest naval game ever. We're focusing more on a single-player experience and aren't doing this to make a profit, so our approach is quite different to theirs. We think both games will offer unique experiences worth playing, though.